Four months after an advertising watchdog group called out Walmart’s website for selling more than 100 products labeled as “Made in the U.S.A.” even though they were manufactured in other countries, raising the watchful eye of federal regulators, the retailer announced it had removed the designation from its products. The Federal Trade Commission announced on Tuesday that it had dropped its probe into Walmart’s “Made in the U.S.A.” labeling and would not pursue action against the retail giant. “Based on your actions and other factors, the staff has decided not to pursue this investigation any further,” the letter states, noting that the determination does not mean the company didn’t violate the Federal Trade Commission Act. 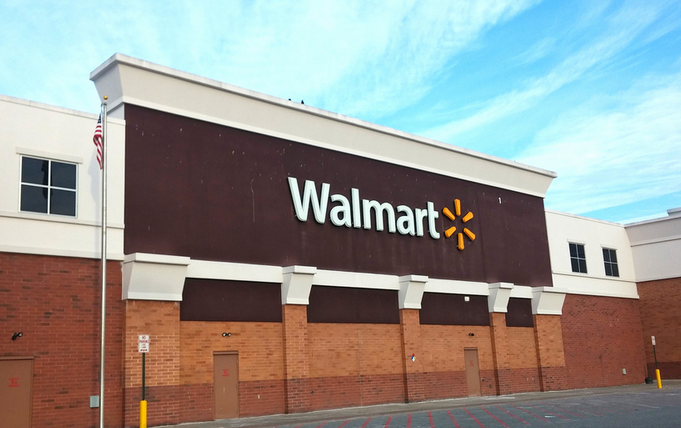 With regard to its website, Walmart removed “Made in U.S.A.” logos from all product listings; removed country-of-origin information from all product specifications, except where required by law; removed U.S.-origin claims that appeared in product descriptions or titles; and implemented a procedure to flag and remove new U.S.-origin claims made in ad copy submitted by suppliers. “Additionally, Walmart rolled out redesigned ‘Made in U.S.A.’ logos for private brand products promoted in conjunction with the Investing in American Jobs Program,” the FTC states. The new logos, which will appear on product packaging, include larger disclosures regarding the percentage of U.S. content contained in the product. A spokesperson for the big box retailer tells Reuters they are pleased with the FTC’s decision to drop the inquiry. “We’re committed to reviewing and strengthening our processes,” the spokesperson said. Walmart’s “Made in the U.S.A.” woes began back in June when the group Truth In Advertising claimed the company’s website had more than 100 examples of products incorrectly marketed as made in America. 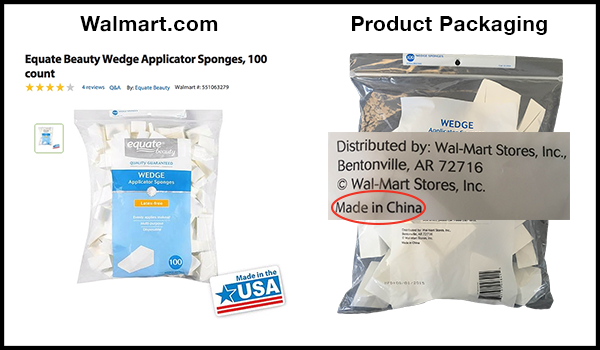 Among the items singled out in the letter to Walmart CEO Doug McMillon were the company’s Equate store-brand makeup sponges.